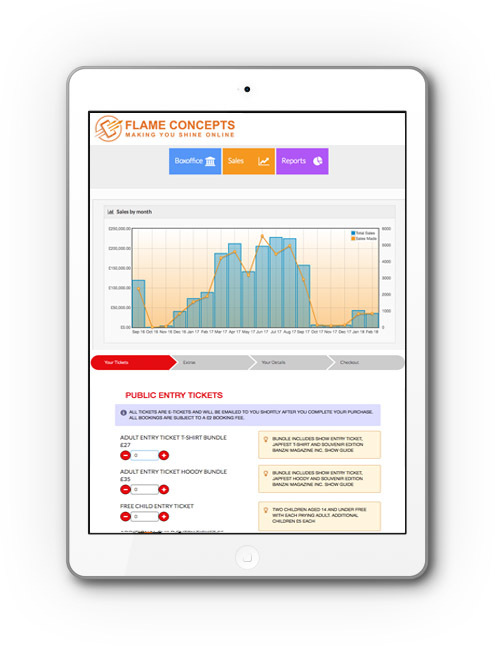 Our mission is to empower businesses and events around the world, using industry leading expertise to provide bespoke and specialist ticketing and registrations within an easy-to-use system. INNOVATION: We use the latest technology and industry knowledge to develop flexible and scalable software that delivers results. AGILITY: We are constantly responding to the changing needs of our clients, their customers and the environment that influences them. We will use our knowledge and experience to support them as they develop and grow – evolving and adapting alongside them. COLLABORATION: Together we can make great things happen. We listen to the challenge, understand the issues, respond – and solve. SUSTAINABILITY: We aim to provide long-term, sustainable solutions. We want our clients to survive, thrive and expand. EXCELLENCE: We hire the best people with a passion for change and the drive to succeed. PRIDE: We are proud of what we do, the people we work with, the services we provide and the difference that we make. BEING HUMAN: We are more than just tech. Our excellent service and customer care provides unparalleled support.